A British family ran into local objections when they kitted out their single story family home with solar panels. Why? According to neighbors, the solar panels ruined their view. Although one might argue that creating sources of sustainable energy is more important than appearances, solar will only successfully transition into a mainstream energy source by becoming inclusive. Some homeowners may be dissuaded from using solar power because of the way it looks. Luckily, there’s a solution on the horizon. Solar Botanics have created a solar tree, designed to blend into a natural looking environment. But the solar tree doesn’t just feed off the sunlight, it also captures wind energy and produces electricity. Just one single solar tree can power a three bedroom family home. A “garden” of solar trees could power an entire community, without losing any visual appeal. Meanwhile in Switzerland, artists Drzach and Suchy have designed a solar powered palm tree to give the icy streets of Switzerland a taste of the tropics. 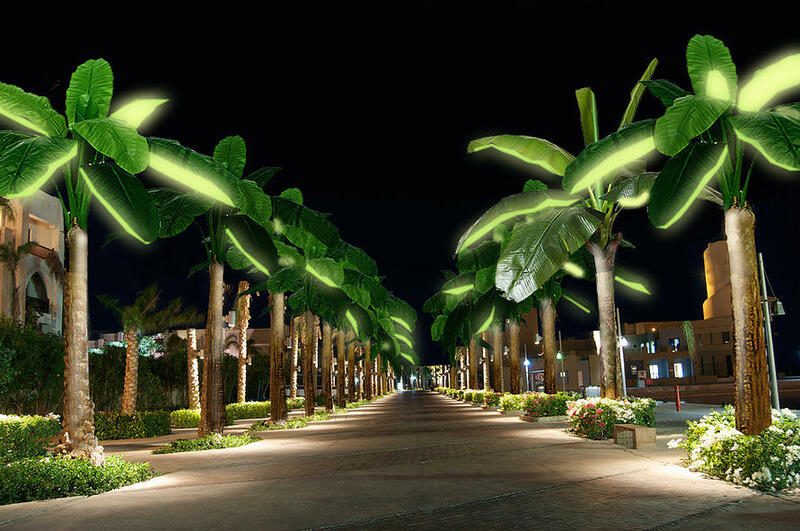 The solar palms are embedded with photovoltaic panels, to emulate the leafy green fronds of palm trees. The panels glow at night, providing street lighting. Currently the solar palm lasts for five hours, but the artists are still experimenting with their novel design. Sistine Solar wanted to follow in the footsteps of Apple and Tesla, and merge “form and function” in the production of solar energy. So they created SolarSkin, solar panels that blended seamlessly into the existing design of a home. SolarSkin, like Solar Palms, utilizes photovoltaic material and matches the pattern to the buyer’s existing tile design. Then the solar panels are installed, and become almost invisible. As the solar power industry continues to grow, there will be more research dedicated to integrating solar into the world around us, meaning that solar can be - and will be - as beautiful as the natural world it protects. "Solar can be - and will be - as beautiful as the natural world it protects"
Making fabric from bamboo is a chemical process that’s closer to making paper than spinning fluffy cotton tufts into yarn. The federal solar tax credit gives you a 30% rebate on the purchase and installation of solar electric or solar water heater systems.